Transform Your Photos into Handmade Art Formerly just for the likes of kings and queens, lords and ladies, portraits are becoming popular in all levels of our society today. 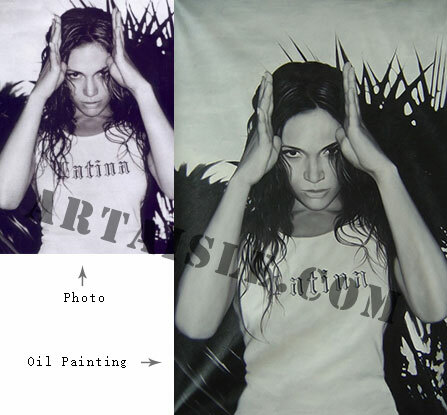 We can not only do a realistic oil painting of you and your loved ones, including any damaged photos. Our experienced artists can retouch and combine multiple photos to create your perfect portrait painting. All we need is a high resolution copy of your photo to turn it into a painting. Let us assist in preserving your memories on canvas, whether it's your wedding day or a painting of your childhood home. Capture the special moment and convert it into a masterpiece of oil painting which will last forever . The rest, we help you to complete. Now Click Here to start. Please believe us, we can do better for you.